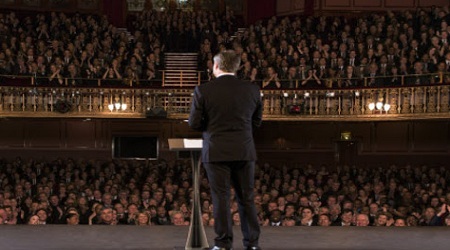 Public speaking has become a larger part of our life and we do have a lot of problems in speaking in public. 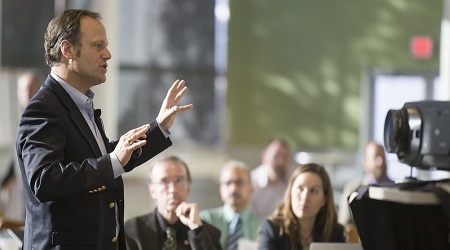 Public speaking skill comes from over years through practice and I want to impart some of the knowledge that I have been able to gain and want to share with you for become a better public speaker. Calm your anxieties that you might get when you have to get onstage in front of a bunch of people. 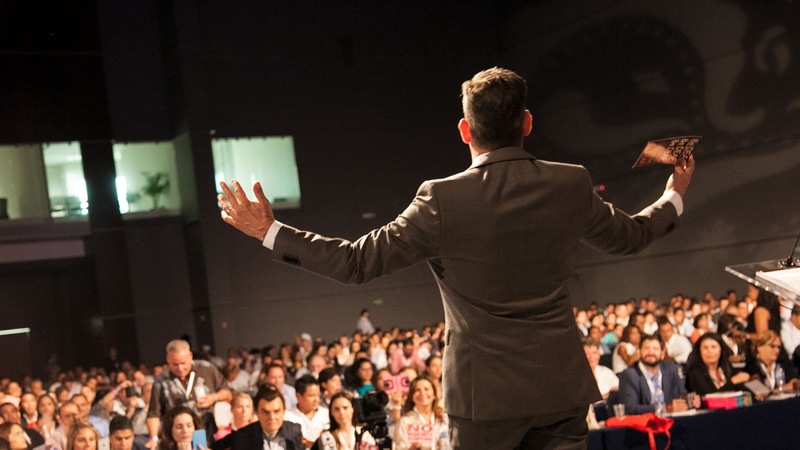 So, in order to overcome these problems I have got some specific public speaking methods that can definitely help you to become a better public speaker. Most inexperienced speakers when they are on stage tend to speak a lot more quickly than they think they are speaking, and it is because when they are onstage they have all this anxiety and keep all the materials upon their head and they are just trying to get through it as quickly as possible because their main motive is to get offstage as soon as possible where nobody is judging you. Always keep in mind that the audience have sat there and have dedicated their time to listen on what you are delivering. So, if you slow down and give them some breathing room, then they are going to be able to contemplate what you have said and more easily follow along with what you are talking about. Also, your rate of speech isn’t the only thing you can control to make your speech better. You can also employ strategic pauses to highlight certain points. Now another thing which is to pay attention is, to your body language and this is very important for two specific reasons. Your body language forms a large part of the non-verbal communication that compliments the verbal communication of your words. The way you hold yourself, the way you are poised, your posture, the way you move your hands and gesture to highlight certain points. All these go hand-in-hand with the words you are speaking and can help to compliment and drive those points. But the other reason is that, the unconscious body language that a lot of inexperienced speakers have is something that can harm your public speaking. Consciously try to improve your ability to make eye contact with your entire audience. But the problem is that your entire audience are the people you are addressing. So you want to make sure you are trying to make eye contact with each and every single person during your speech. It can be difficult to make eye contact when you are already nervous about being on stage. So, you can employ a classic speaker’s tricks, which is to simply look over the heads of the people in the back row, who are far enough away that they probably won’t be able to tell that you are not directly looking at them. So, next time when you have to make a speech and if you are feeling nervous and find it difficult to make eye contact, I would strongly recommend you to at least try to make eye contact with a couple of people throughout your talk, because this is something that gets easier to do over time, and it will make you a bit more engaging, effective, and more like human speaker. Practice, and when you think you have practiced all you could have potentially ever practice, do it again. The idea here is not to practice your speech until you get it right, but to practice your speech until you cannot get it wrong. And this is because, mastery helps you to get you through any anxiety you are feeling. And as we talked about anxiety, it can actually block your brain from making connections. So, the more you concentrate on your material, the more likely you are going to be able to get past through those anxiety blockers, get the thoughts out of your brain, through your lips, and into the ears of the eager audience. So, make sure you practice until you know your material because practice makes a man perfect. Another thing you should also keep in mind is that you should not write your speech like an essay and try to memorize it from word to word. If you do that, you are going to sound unnatural, you are going to sound like robots, or you are going to sound like you are reading. But, instead you should write your speech in the form of bullet points. List out the main points or any details and facts and memorize those. It is also related to practice, but it is a little bit of a technical improvement you can make to your practice. When you practice, take a video camera with you and record yourself. Watch the video and review each aspect of your performance, and pick out the things that could be improved. This is a huge upgrade and in just practicing for some times and watching over your mistakes and correcting it, will make you aware of the things you are doing. Maybe you have a nervous tick or maybe you are pacing too much. But the tape doesn’t lie. So, if you record and watch that tape you see your mistakes and you can correct accordingly and practice more effectively. Realize the people in your audience and they are most likely to fall into one of these two categories. You might have the people who are rooting for you and they want to see you succeed because they are interested in your topic, and these might be your supporters or your fans. And on the other hand you might have the evil people too. Who are going to laugh at you, and throw tomatoes and curse your family for all eternity. Actually you have people who are bored and it is not because of you, it is because their minds are elsewhere, they don’t want to be there, they would rather be off doing something else, and whatever you do, if you perform badly or perform really good it is not going to have much effect on them at all. Focus more on the topic and less on the aspects of your performance, when you are delivering your speech, and also you are preparing. Focus comes off the nervousness of standing on stage, and addressing a bunch of people is placed on what you know, and this is what you really want you to learn. Don’t have a stupid haircut. What I mean by that is, think about your appearance. Dress well, and try to make a great first impression when you step on stage. This is important because of the Halo Effect, which is also known as exaggerated emotional coherence. And it is basically a term to explain the fact that humans make split-second first impressions of people right when they meet them. What happens is people use those first impressions to essentially fill in what they don’t know about the person, and also make judgments about what comes next? So, if you get on stage and you are dressed well and hold yourself well people will be impressed with you and then they are more likely to forgive any mistakes you make. And, they are also more likely to be receptive to whatever you are saying. But if you don’t look good, then it is going to be a lot harder for you to convince people of what you are talking about and those mistakes will be all the more glaring. So, first impressions matter. Don’t think you need to be perfect. Focusing on perfection is the number one way to trip yourself up, to give yourself massive amounts of anxiety, and to fail. Don’t worry about being perfect, take a breath and just get on stage and deliver the best speech that you can give. Nobody gives a perfect speech. Even if someone thinks that he gave a perfect speech, there are people who can point out all the errors, and all the things he would have done better. So, get on stage, focus on doing good, focus on improving over your previous performance, and then just focus on your topic. Try to enact a transformation in your audience and you are not going to care so much about your nerves and your performance. So, these are the methods and I also have a bonus tips and that is, to study people who are great public speakers. Watch them and study their speeches and try to pinpoint exactly what they are doing. Hopefully if these have helped you out or if you have any other techniques, you can leave a comment below.